There are many ways to describe Little Millar, but unique, talented, and charismatic just seem to scratch the surface. However, there is one word that ties them all together and is true to their character: Little Millar is Real. Few people sing so honestly from their heart and soul. 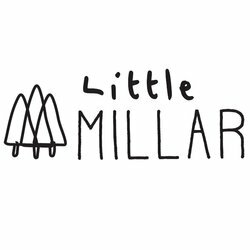 Little Millar does so in just the right way, fusing art, story, and song in perfect unison. Combining Folk, Gospel and Blues influences, Singer Songwriters Cailah Ashlee and Rory Millar write stories from the heart, for the soul. A love story that conquered poverty, devastating circumstances and a world war.